Central Texas REALTORS® sold more homes than any February on record last month, indicating the spring selling season may have started early this year. According to the Austin Board of REALTORS® February 2019 Central Texas Housing Market report, sales increased by 6 percent from February 2018 to February 2019 to 2,101 sales. 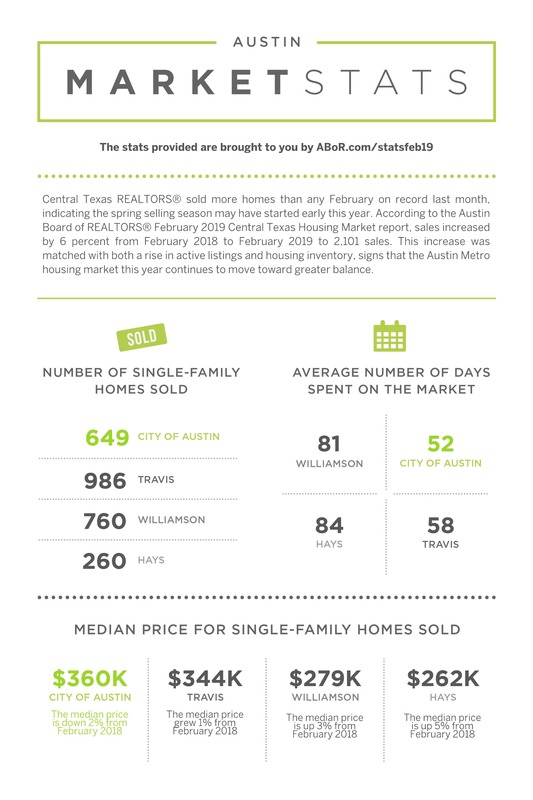 This increase was matched with both a rise in active listings and housing inventory, signs that the Austin Metro housing market this year continues to move toward greater balance.